Yesterday, I was featured on the lovely blog Kyla Is Inspired, which is so exciting! You should go check it out, and then spend some time poking around Kyla’s blog – it’s adorable. 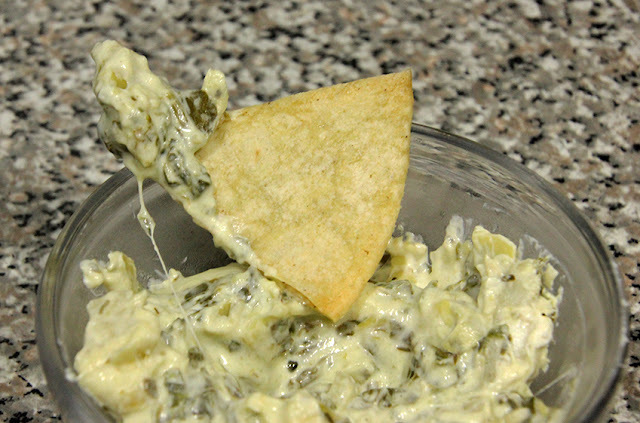 Ok, it’s time to talk about this dip. 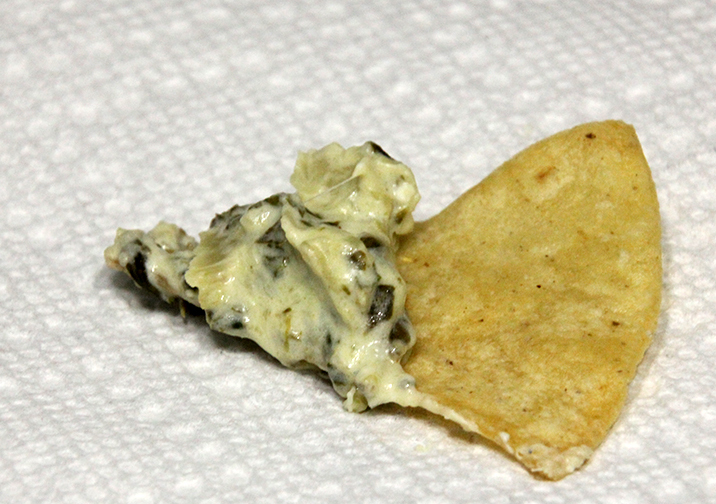 The first time I tried spinach and artichoke dip was on one of my first dates with TJ. I couldn’t believe how delicious it was! I found myself with some leftover baby spinach a few days ago, so I thought it seemed like a great time to try making some of this classic dip at home. 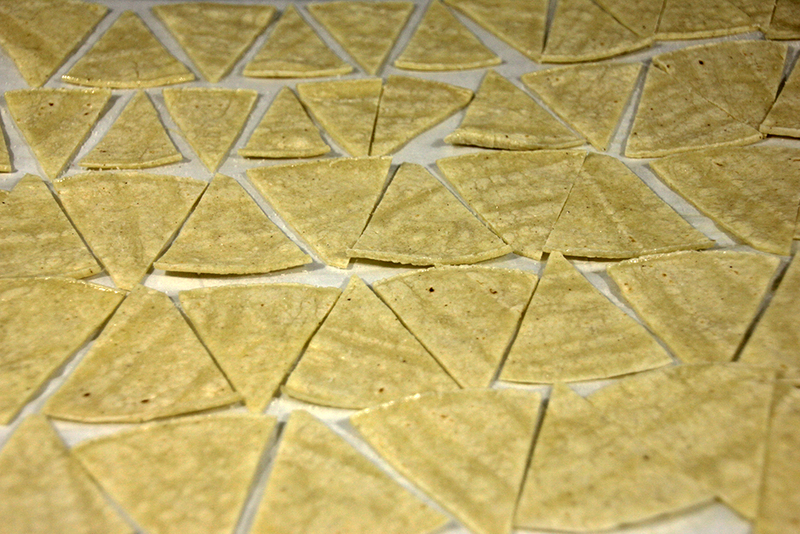 This was also my first time making homemade tortilla chips. 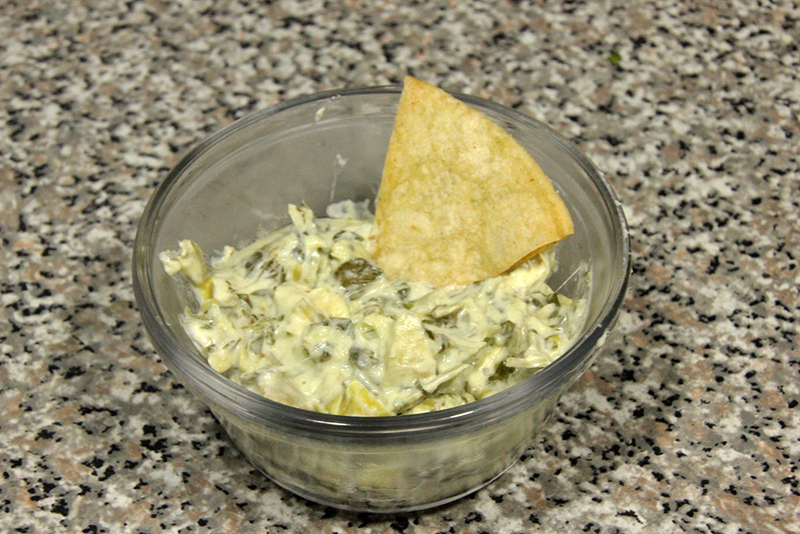 They were incredibly easy to make, had a perfect amount of crunch, and were sturdy enough to hold a substantial amount of dip. I may never buy tortilla chips again. 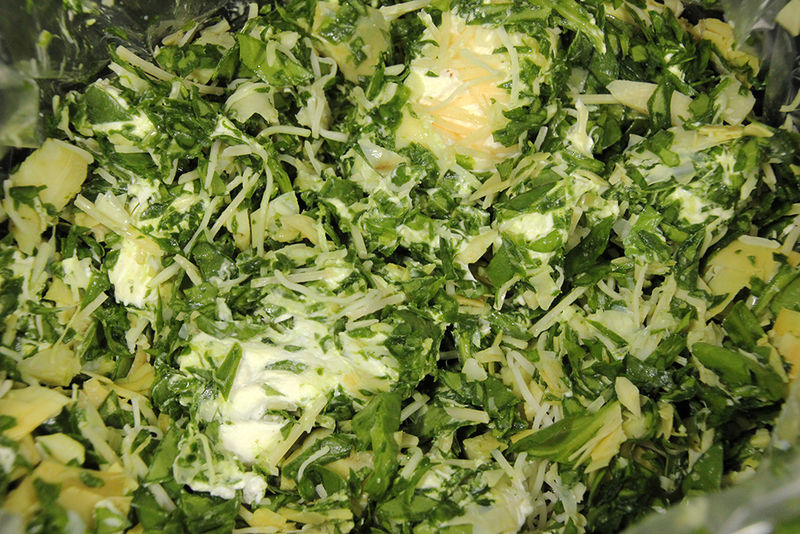 Combine the artichokes, spinach, cream cheese, mozzarella cheese, Parmesan cheese, garlic, salt, and pepper in a lined slow cooker. Cook on high heat for two hours, stirring at the halfway point. Prepare the chips when there is 30 minutes remaining on the dip. 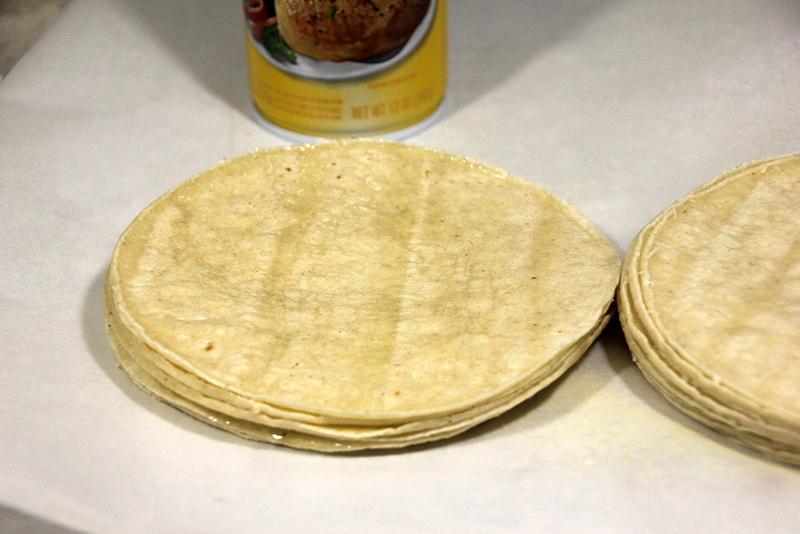 Spray one side of each tortilla with cooking spray. 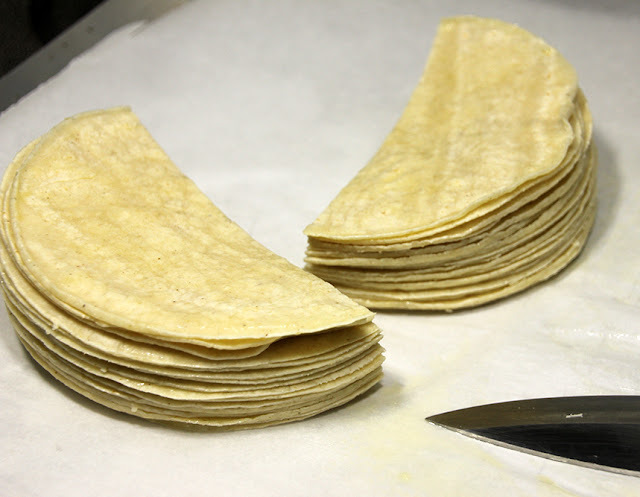 Stack the tortillas, and use a knife to cut them into eighths. 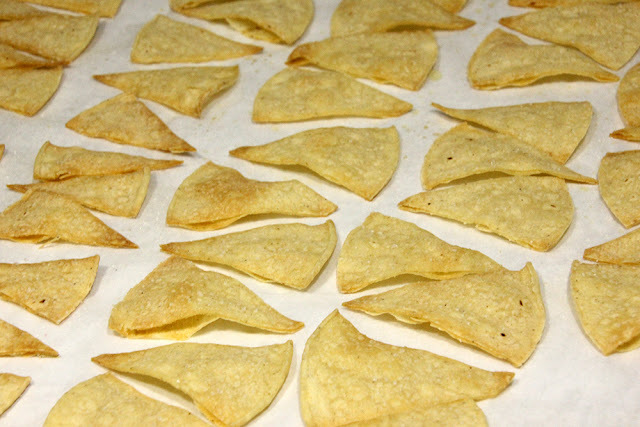 Line a baking sheet with parchment paper, and lay the chips in a single layer. Bake at 350 for 15-20 minutes, or until they are golden brown and crispy. Sprinkle with salt, and enjoy with the spinach and artichoke dip! Spinach artichoke dip is my absolute favorite! I’ve never made my own chips though. Definitely have to next time! This looks AMAZING, just pinned it! Can’t wait to try it! Thanks, ladies! If you guys end up making it, let me know how it turns out!